Vicky Mayo R.N. is the Clinical Coordinator of The PUR Clinic at Southlake Hospital in Clermont, FL. She was born near Chicago, but grew up near Philadelphia. Vicky moved to Florida in 2011 and graduated from Brandywine School of Nursing/ Immaculata College in 1997, where she graduated with Honors, second in her class and received the Best Clinician Award. She has over 16 years of nursing experience. Vicky’s prior clinical experience includes interventional cardiac care, various hospital settings and skilled nursing facilities. 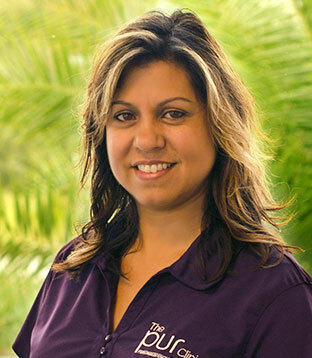 She now works one on one with Dr. Brahmbhatt to ensure all patients receive the best possible care. Vicky is very passionate about delivering the best nursing care possible. She enjoys taking care of and helping our patients and being a patient advocate. Vicky loves spending time with her husband and children. She enjoys watching her daughter play competitive travel softball, going to the beach and traveling.